There have been 10 aerial surveys of the wildlife populations of Gonarezhou National Park since the 1992 drought. 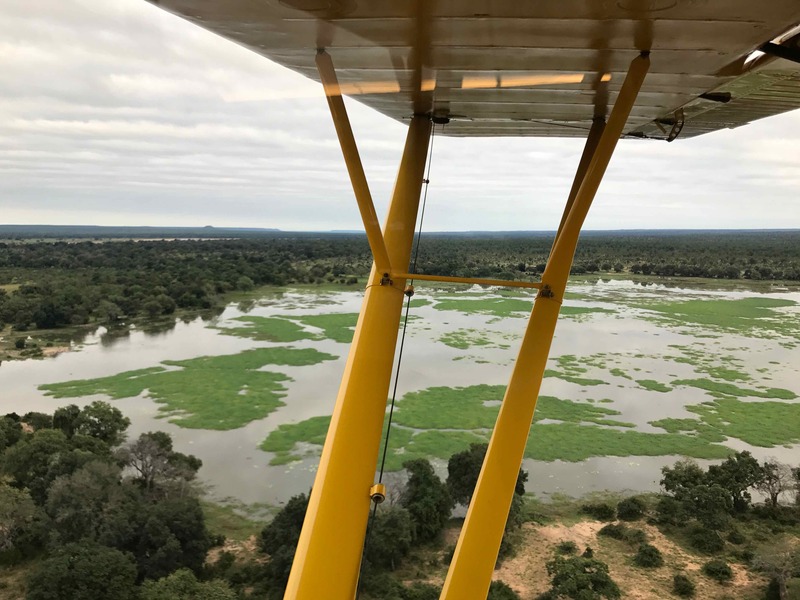 In September 2016 the Gonarezhou Conservation Project completed it’s fourth comprehensive aerial survey of Gonarezhou National Park and adjacent areas since the project’s inception. This exercise was coordinated by The Great Elephant Census in association with the Zimbabwe Parks and Wild Life Management Authority and the Frankfurt Zoological Society. The survey area lies within the Great Limpopo Transfrontier Conservation Area. Elephants and other large herbivores, wild and domestic, in GNP, Malapati Safari Area and Mahenye and Naivasha communal lands in south-eastern Zimbabwe were surveyed from the air, using the project aircraft to fly transects for the sample survey. The area surveyed totalled 5,633 km2 and was divided into 10 strata. By design, sampling intensity varied between strata and ranged from 13 to 22 %. Sampling intensity averaged 21.5 % in Gonarezhou National Park and 20.7 % in the entire survey area. The 2016 estimate of 10,715 elephants in Gonarezhou NP is only slightly below the peak estimate of 11,120 elephants during the 2014 survey, which was the highest estimate of the number of elephants in this park since sample surveys began there during 1975. The lower estimate is still well within the 95 % confidence limits of the 2014 survey. Time and further research will tell whether we are beginning to see a natural decline in the rate of increase of the elephant population, or whether other factors are at play. By 2014, the elephant population had increased at a mean rate of 6 % annually since 1995. A trend analysis of the results of these surveys revealed that the estimated numbers of all elephants, elephants in bull groups, elephants in cow herds, buffalo, eland, kudu, giraffe, impala, waterbuck, zebra, giraffe, warthog, wildebeest and nyala in Gonarezhou National Park have all increased since the 1992 drought. Only ostriches have not increased in number. The Gonarezhou Predator Project was established in 2009 to monitor the status, population trends and threats facing the Park’s large carnivore populations. The project is a joint initiative by the African Wildlife Conservation Fund and the Gonarezhou Conservation Trust. The Gonarezhou Pangolin project is a joint initiative with the Tikki Hywood Trust, and aims to raise awareness of the plight of this, the world’s most trafficked mammal, and to find innovative solutions to address the numerous threats facing this charismatic animal.